' ARISTOTLES ELEMENTS ' IS A BEST ART ORIGINAL BY JAIME ZATLOUKAL BEST. ACRYLIC ON 16" X 20" GALLERY WRAPPED CANVAS. SIDES ARE PAINTED SO THERE IS NO NEED TO FRAME. THE COLORS ARE MUCH MORE VIBRANT THAT CAN BE DEPICTED IN THE DIGITAL IMAGES SHOWN HERE. ' 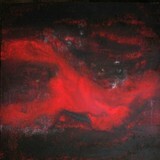 ARISTOTLES ELEMENTS ' IS A ONE OF A KIND EXPRESSIONIST ABSTRACT PAINTING. 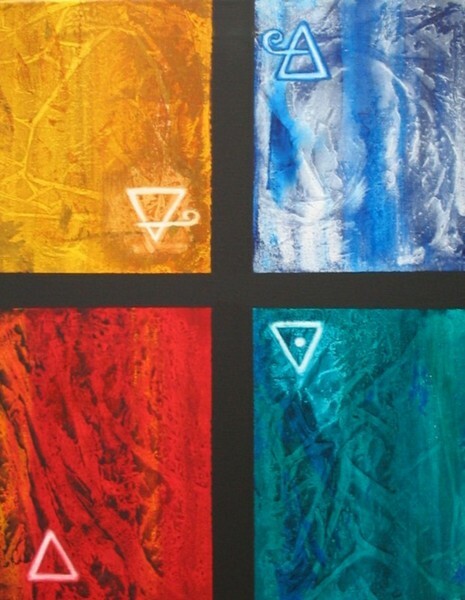 THE SYMBOLS ON THIS PAINTING REPRESENT THE ELEMENTS EARTH, AIR, FIRE, AND WATER. interesting layout... I like it!